Just off the busy intersection of Robson Burrard, the newly opened Papyrus store (765 Burrard St.) in downtown Vancouver is a veritable treasure trove of paper goods and neat gift ideas. I was invited to check out the store last Monday and do a little shopping myself and curate a gift guide. Well, you can imagine how with this stationery geek, "a little shopping" turned into 2 hours of serious browsing and indecision. Aside from the stylish social stationery and paper goods for which Papyrus is rightly renowned, they also carry an extensive array of Crane & Co. cards, Kate Spade office supplies, and the best collection of ban.do merchandise I've ever seen in Vancouver. Add to that home decor, bath and body products, candles, jewelry, photo frames, books, products for kids and babies..and well, it was pretty hard to narrow it down to what you see here. Details (plus a giveaway) after the jump! 1. For the peony-obsessed, this feminine Michel Design Works candle lets them enjoy the scent of their favourite blooms year-round. 2. The braids, buns, and twists in this book of tutorials rival those of the best curated Pinterest boards. 3. 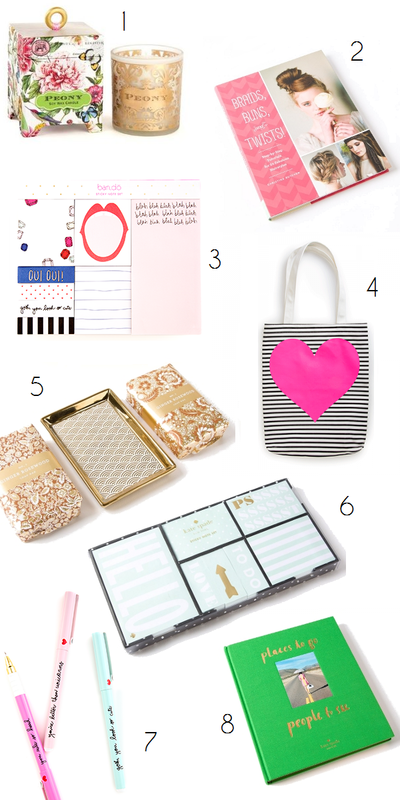 These ban.do sticky notes are equal parts sweet and sassy, and perfect for dressing up a boring desk. 4. It's hard not to heart this tote. 5. This ginger and rosewood soap set has a refined, subtle scent. Use the Art Deco-inspired soap dish as a trinket tray. 6. Okay, can you tell I have a thing for sticky notes? I couldn't resist keeping this Kate Spade set for myself. 7. A little positive affirmation never hurt anybody, particularly if it's etched on the sides of whimsical pastel pens. 8. So many places to go and people to see in this beauty of a coffee table book. Looking for more amazing Papyrus gift finds? Last week's "$15 and under" gift guide should help. But for now, onto the giveaway! 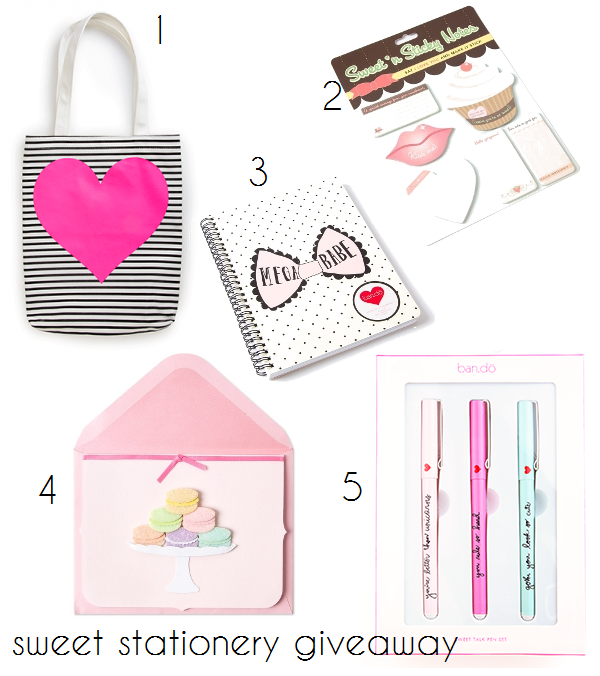 Papyrus and Solo Lisa are teaming up to give one lucky Lower Mainland reader everything pictured below! Contest ends December 24, 12am PST. Good luck! If you're downtown, make sure you check out the new Papyrus store just off the corner of Robson and Burrard! [UPDATE - December 24, 2014] The winner is Li Lian Choh (@shortwidenails). Congratulations! Do we have to live in Lower Mainland to enter? I'll pass on entering since I'm in the US, but I do love Papyrus. We have a store in the Fashion Valley mall and I love to pick up cards and writing paper. Even in the age of technology, I still like writing a good o'l fashioned letter. I totally know what you mean Lisa! I was there for an hour the other day. All I needed was a birthday card... I walked out with cute stationery and candles too!